If there is one recent invention that proves that we are living in the future, it is the 3D printer. However, 3D printers can be expensive. What if we tell you that we have made a comprehensive list of the most affordable 3D printers on the market? There are 3D printers that cost less than $1000. Additionally, there are 3D printers that you can purchase for $500 or less. With 3D printers that cost lower than $1000, you can turn your visions to reality. We gave each of these 3D printers a try to help you in picking one for your own. We also tested the product based on the durability, performance, and efficiency. Read on to find out which is the best 3D printer for the money. The first 3D printer that we have reviewed is the XYZprinting da Vinci Jr. 1.0 Pro. 3D Printer. It is a standard alone 3D printer with a fully enclosed new wind duct extruder design. Moreover, it can print with any kind of 3rd party filament. The XYZprinting da Vinci Jr. 3D Printer has a build area that measures 5.9 inches on all sides. This 3D printer also comes with a bundled PLA Filament, along with a USB cable and power adapter. There is also an accompanying cleaning and maintenance tools, a print bed tape, and a print removal scrapper. They also give you the option to have this 3D printer installed by a professional at an additional cost. There is also an option to upgrade your nozzle to a 0.3mm. When you upgrade to a 0.3mm nozzle, it will give you a smoother print result with a 50 micron resolution. With a printing speed of 100mm per second, you can maximize your time without waiting too long. 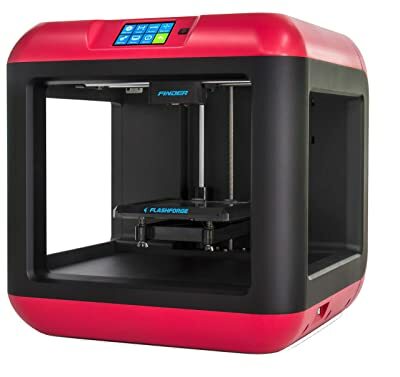 The next 3D printer on the list is the newer model of FlashForge 3D Printers. In terms of structure and construction, this 3D printer is made with a durable plastic alloy. With this type of structure, the resulting prints are more stable. It comes with a full color touch screen that measures 3.5 inch. The icons included in this touch screen ensure easy operation of the printer. For the convenience of the user, there is also a slide-in build plate, which allows the user to easily get the printed objects. This build plate is safe to use and non-heated to ensure that you would not burn yourself while using this. You are given multiple options in terms of connectivity as you can connect through your Wi-Fi, USB, or flash drive. When it comes to the results, you can expect 100 to 500 microns positioning precision. The next 3D printer is of a smaller size and a cheaper price tag. The Monoprice Select Mini 3D Printer with Heated Build Plate is designed to support all filament types. You can use an ABS filament or a PLA filament. It can even accommodate conductive PLA or dissolvable PVA filaments. This can fit in your desk due to its open frame design that provides an elegant simplicity. The greatest thing about this 3D printer is that it comes to your doorstep in a fully assemble state. It has also been calibrated, which allows you to use it immediately out of the box. For the full experience, there is also a sample PLA filament, bed scraper, and a MicroSD card for immediate use. Since you are able to use all types of filament with this 3D printer, it is equipped with a heated aluminum build plate nozzle cooling fan. 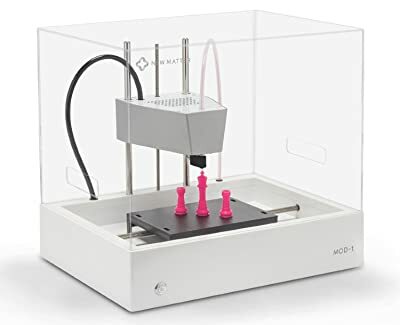 If you are looking for professional results from an affordable 3D printer, the New Matter MOD-t Desktop 3D Printer is here to help. Due to the fact that this has been Wi-Fi enabled, it provides more connectivity options. It can cater to a wider range of users. Moreover, operating this product is rather seamless. You just need to set it up for twenty minutes and you can commence printing. The quality is also commendable as it can print with a resolution of 50 microns. However, you should only use PLA filament to ensure accuracy in terms of results. If you are looking to unleash your artistic side, the XYZprinting da Vinci Jr. 2.0 Mix 3D Printer allows you to do just that. You can combine two colors in just one filament for a more vibrant result. 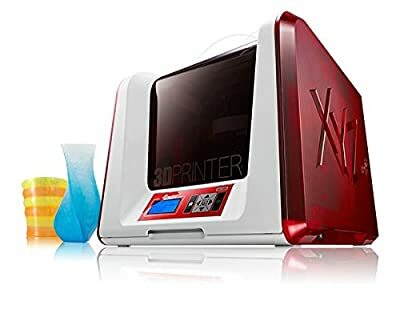 The unique feature of this 3D printer is the Mixer Mode that presents the user with an option to mix two colors in one print. This works with the dual-feeding, single extruder model. 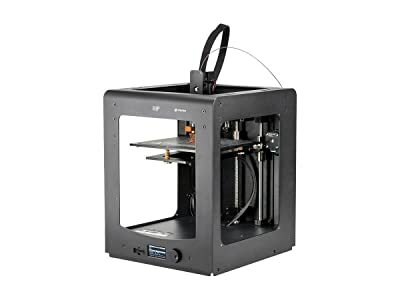 Similar to the previous da Vinci Jr. 3D printer, this model also comes with a nine-point calibration detection system. It is also compatible to use with your Wi-Fi and USB. However, it is vital that you use a PLA filament from the same brand to ensure consistent results. Another 3D printer that costs under a thousand dollars is the 3D C2 Compact Smart 3D Printer. It can be considered as one of the smallest, but fastest 3D printer in the market today. It comes with a printing speed of 300 mm per second that ensures quicker prints to minimize waiting time. Moreover, it also has a resolution of up to 20 microns, despite the fact that it is compact in size. It is also equipped with a touch screen that has been integrated for easier operation. 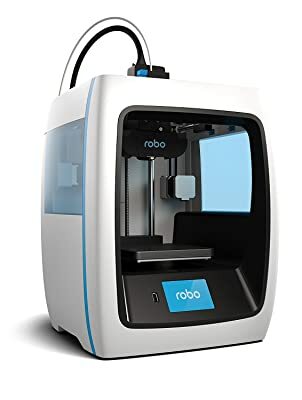 It can also be connected to the WiFi and it is also compatible with Robo’s print app that allows you to use the 3D printer with any iOS device. This 3D printer operates at an ambient temperature of 59 to 90 degrees Fahrenheit and a non-operating temperature of 32 to 90 degrees Fahrenheit. While it is not able to support all types of filament, it is compatible with PLA, carbon fiber, wood, metal infused, and flexible material. 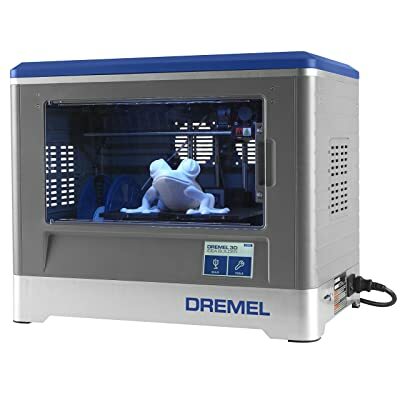 The next 3D printer is the Dremel Idea Builder 3D Printer, which comes with a wide build area. The build area measures 9 x 5.9 x 5.5 inches. It has been pre-installed to allow for quick use upon receipt. For maximum functionality, there is also a full colored touch screen to allow you to see the result in no time. This 3D printer also comes with software that allows you to customize your design. It uses a single extrusion with an extruder temperature of 230 degrees Celsius. For the filament of this 3D printer, it is preferable that you use a Dremel PLA filament. It should measure 1.75 mm and it should preferably be biodegradable and renewable. The FlashForge 3d Printer Creator Pro is another affordable, but amazing 3D printer from the FlashForge line. The difference of the current FlashForge 3D Printer Creater Pro and the previous one is in the structure. The present model comes with a metal frame, which is sturdier than the previous wood frame. There is also an aviation level aluminum plate that has a thickness of 6.3 mm. This allows you to be sure that the surface is flat in order to get your desired results. It also helps to prevent warping during the heating process. 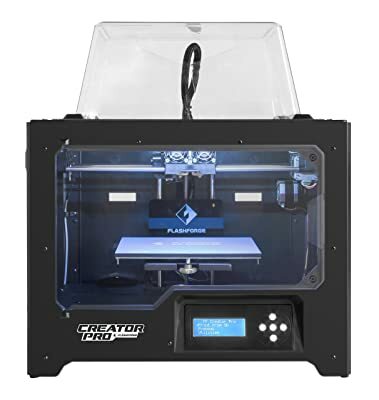 The FlashForge 3D Printer Creater Pro also comes with a metal platform support. There is also a 10 mm guide rod that ensures accuracy of the Z axis movement. It had an enclosed chamber that is able to insulate and protect the resulting print. 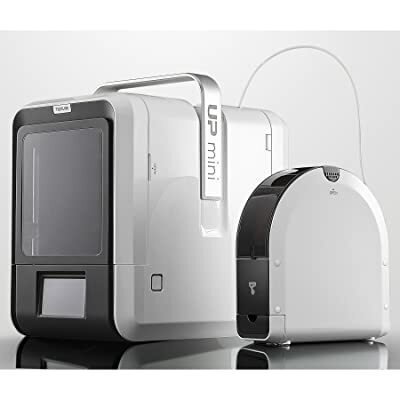 The UP Mini 2 3D Printer is another upgraded version of a previous 3D printer. This model was able to correct all the mistakes of the previous version. While the UP Mini 2 kept the affordability and reliability of the previous model, it certainly improved when it comes to the results. This 3D printer is not able to print in 0.155 mm filaments. Moreover, it also prints at a quicker speed. However, it has a rather limited building area that measures 4.7 inches on all sides. 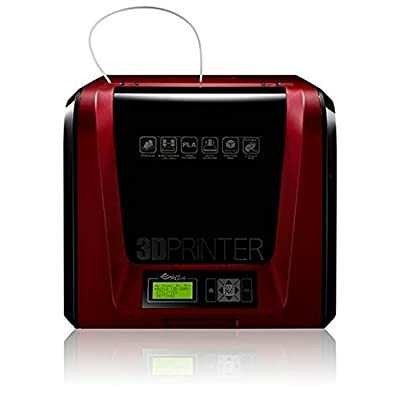 Some of the more notable feature of the UP Mini 2 3D Printer is the Built-in HEPA Air Filtration, Blackout Recovery, On-board File Storage, and the Door Open Alert. In terms of connection, it is compatible with your USB and Wi-Fi. Moreover, it operates quietly to keep you undistracted. The final 3D printer on the list is the Monoprice Maker Select Ultimate 3D Printer. With the resulting prints, you can be certain that you are getting the best value for your money. At its price, you get printed layer resolutions that can be as fine as 20 microns. This provides you with 3D prints that are smoother and finer with a more exact detail. It came with an all-metal extruder and heated print bed. 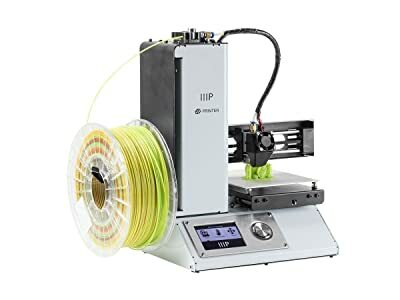 If you are wondering about the compatibility of the filament of this 3D printer, it is compatible with almost any type of filament. The Monoprice Maker Select Ultimate 3D Printer also eliminates those annoying print jams. That is it for our review of the best 3D Printers under $500. With over ten 3D printers that we have tested, you might be wondering which one is our favorite. Based on our review, our winner is the Monoprice Select Mini 3D Printer with Heated Build Plate. We made this choice based on the fact that this model was able to produce the most consistent result. It is also able to maintain structural integrity due to the durable construction. We hope that this review has helped you in making up your mind. YES! You can get a 3D printer that produces quality result at a cheap price.